Motorola announces the Razr i, with Intel inside! Sometimes companies tend to release run of the mill phones; they catch themselves up with the competition and then they pump the phone out. 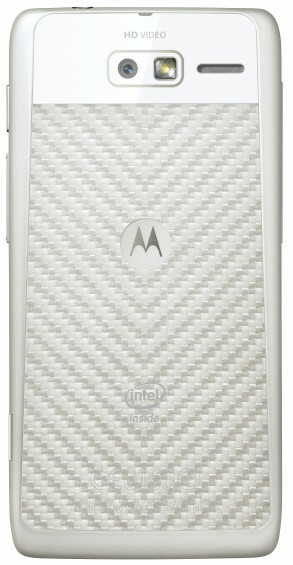 Motorola has been very quiet on the European front lately, they've only recently released the Razr and Razr Maxx. But today we finally get a phone that differentiates itself and is a worthy addition to the companies European line up. The phone in question is called the Motorola Razr i and we can only assume the i is from the companies partnership with Intel! 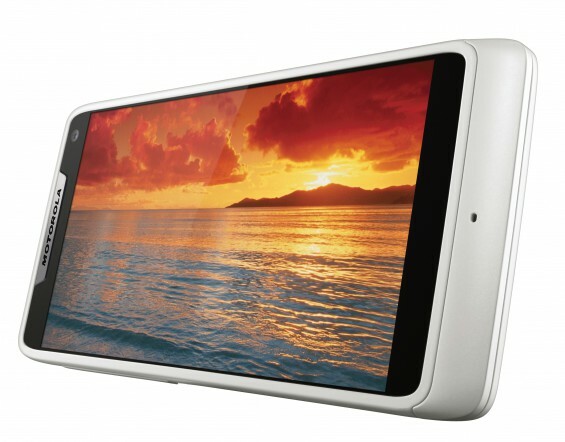 The main features this phone brings to the fore are; an edge to edge display (aka no bezel), the ability to take ten pictures in less than a second, a 2.0Ghz processor(!!!) and Motorola's life proofing enhancements, which hopefully protect your phone a bit! Here's what Motorola and Intel had to say about the new phones! "Introducing the powerful new Motorola RAZR i with Intel Inside®. With power, speed, and an edge-to-edge display, in an impossibly compact design, it’s everything you want in the palm of your hand. Intel Inside® boosts the performance of your browser, Google Apps™ and camera while delivering great battery life. Motorola RAZR i’s instant-launch 8-megapixel camera can capture 10 pictures in less than a second – making sure you never miss a moment. Stay mobile for longer with its impressive up to 20 hours of mixed usage time1 and maximize every last ounce of power with Motorola’s unique SMARTACTIONS™ app. And because RAZR i is part of the Motorola RAZR family, it’s built with premium protective materials like Corning® Gorilla® Glass, DuPont™ KEVLAR® fibre2 and a splash-guard coating, which protects even the electrical boards inside." The full specs are presented in this lovely table below! Amazon has launched their MP3 cloud player in the UK. Samsung has categorically dismissed yesterdays rumours that there would be a Galaxy S4 coming at MWC early next year. So we now expect the company to follow the yearly release cycle so we can expect a phone around half way through May. Twitter has overhauled their iPad app. The new version, V5, will bring a lot of changes so make sure you get the update! There's also an update for Android owners, but it's not quite as major! Steve Ballmer from Microsoft thinks that the launch of Windows 8 is comparable to the launch of Windows 95. We'll see if his prediction comes true, but this is an important release for the company as they start to head in a new touch centric direction! HP CEO, Meg Whitman, has said Apple has helped her company focus the design for their new laptops and HP's focus is now on beautiful aesthetics as well as powerful specifications. And finally, the picture below is Samsung's latest attempt to escape the Apple lawsuits. What do you think, there certainly is a resemblance but only from the back!